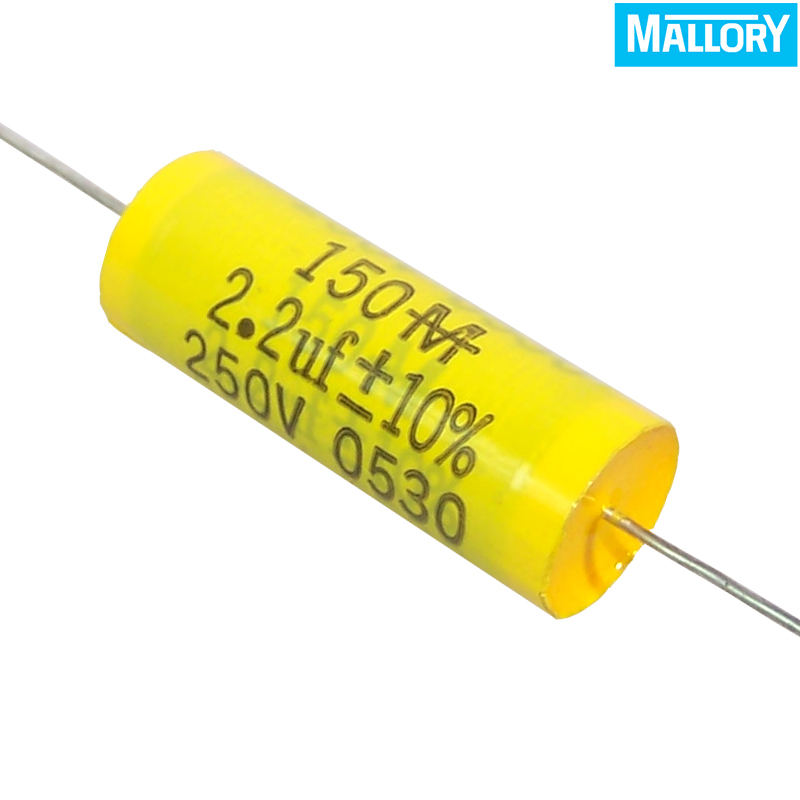 Mallory 150 series are tubular metallized polyester capacitors rated at 250V and 630V with 10% tolerance. The Mallory 150 axial coupling capacitors are preferred by many top amp builders and repairers due to a warmer more vintage tonality. The sound of the Mallory 150 series makes then ideal for use as upgrading coupling caps and tone circuit caps. Incredibly popular with guitar guys, you will find many inside guitar value amps and in guitars on account of their fat, punchy sound.